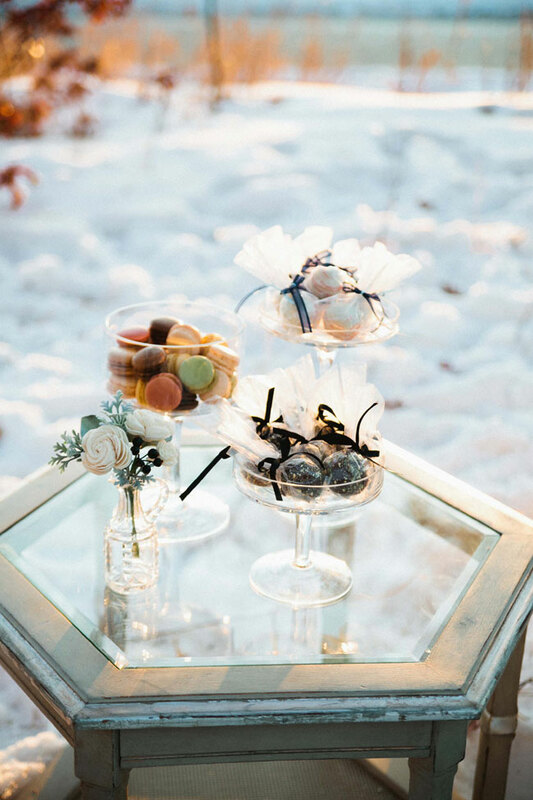 As the winter season begins to calm down I have one final super delicious winter treat left in my bag to share and she is a doozy of pretty! 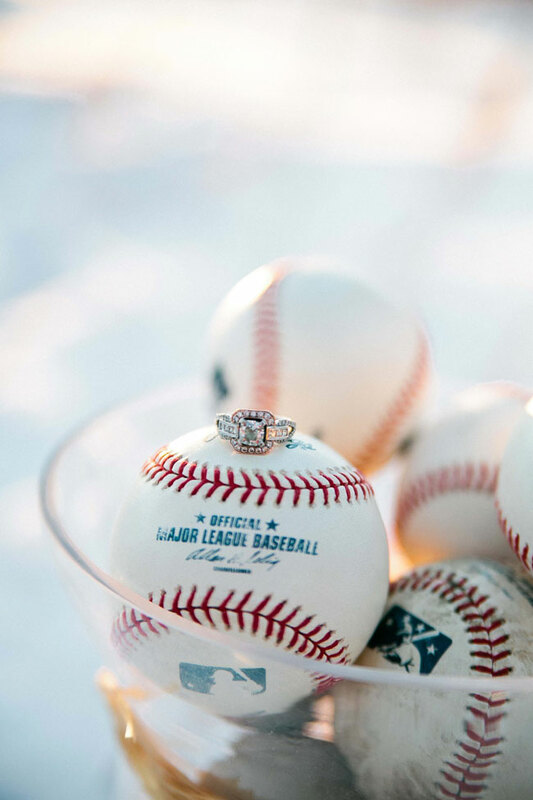 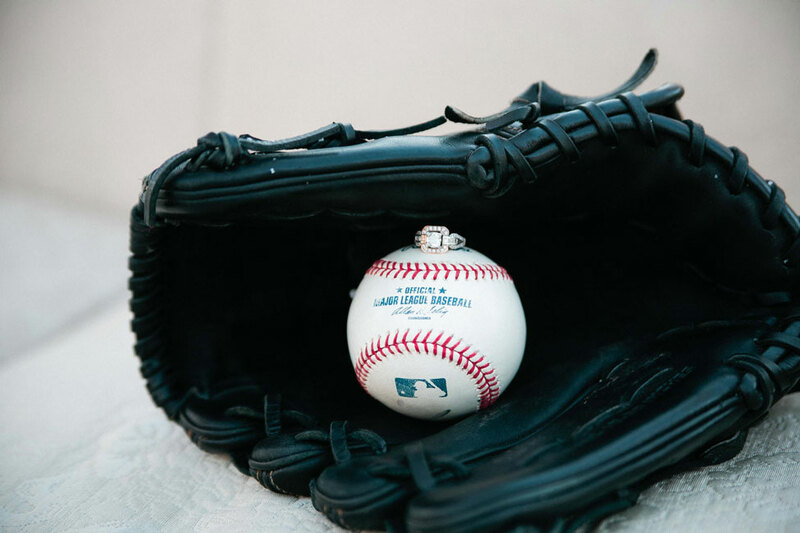 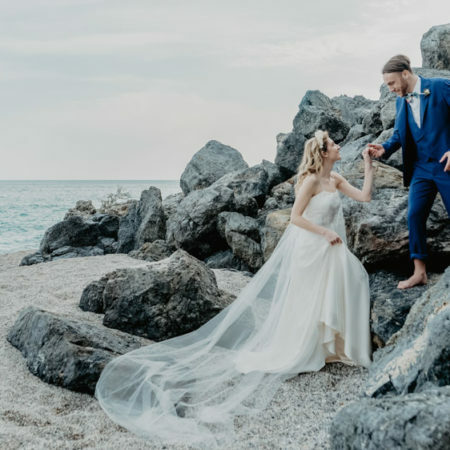 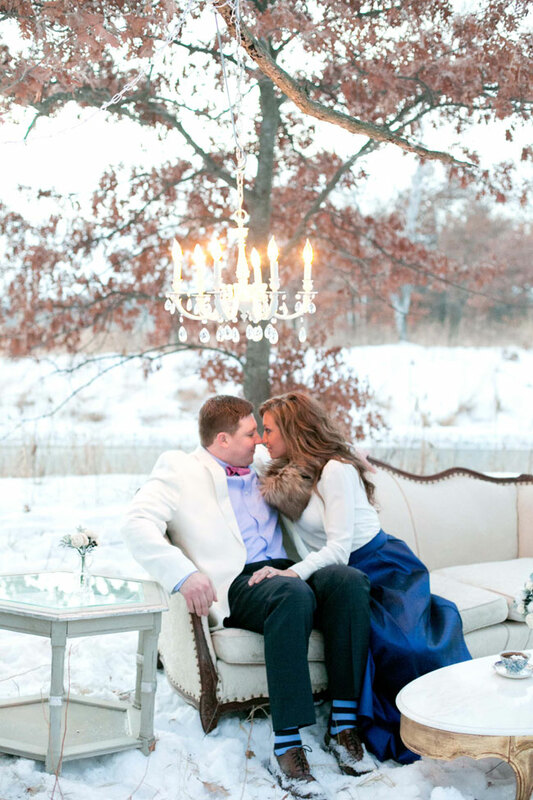 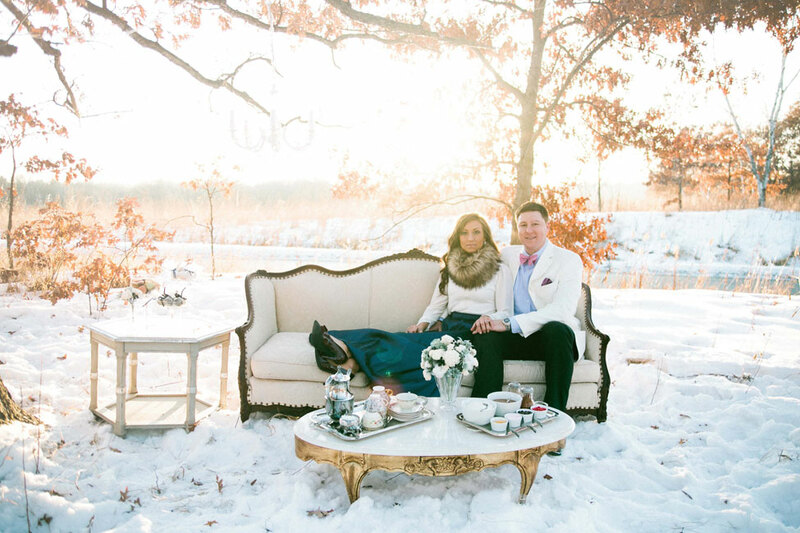 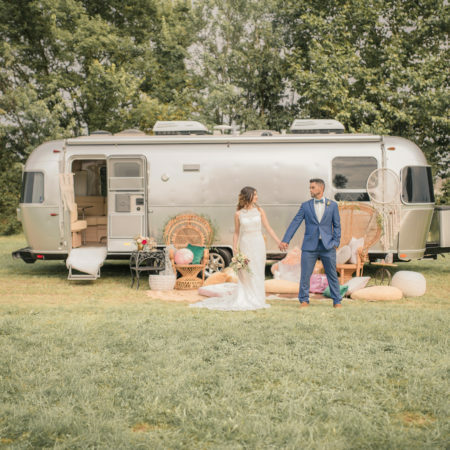 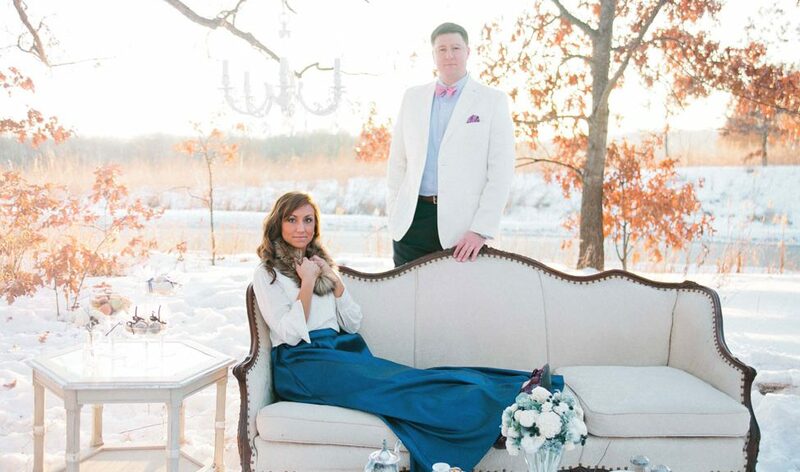 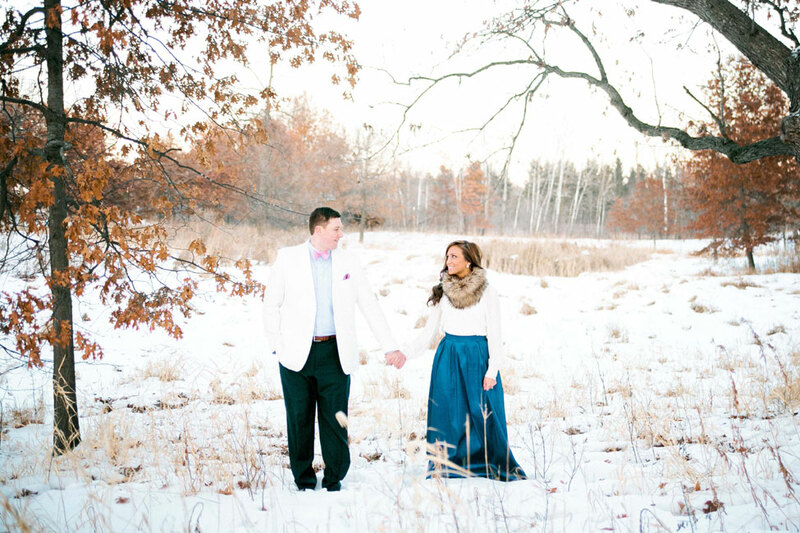 Jennifer Pengra & former Texas Rangers baseball player David Wagner wanted their ties to Minnesota to serve as their inspiration behind their styled engagement photos and for that we are grateful! 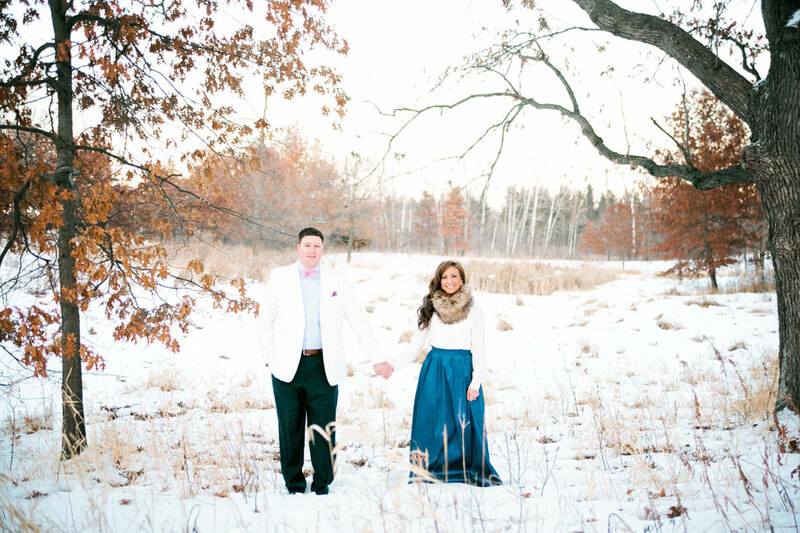 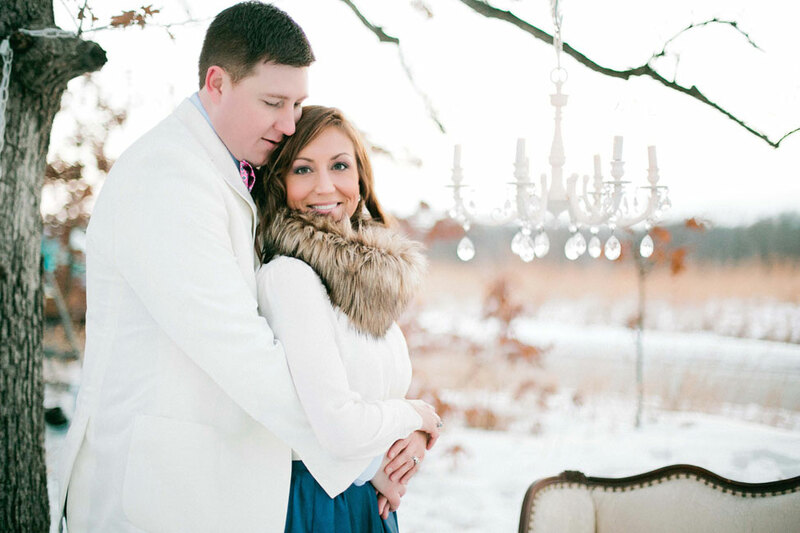 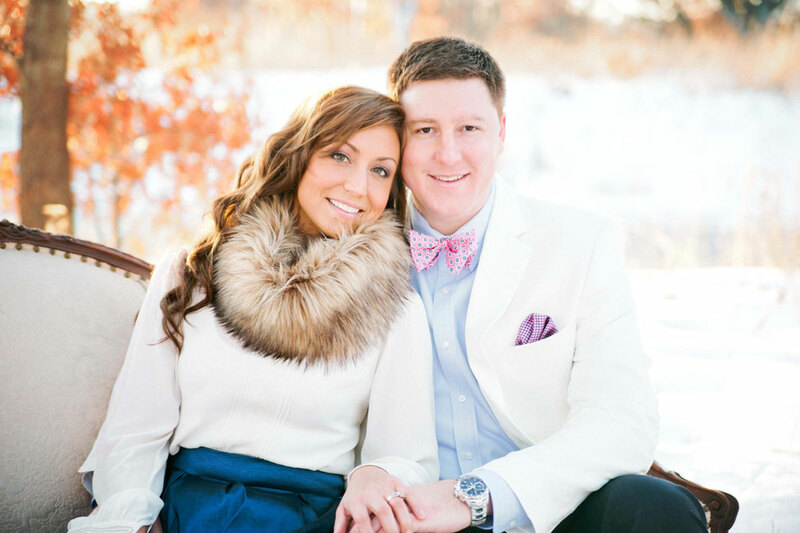 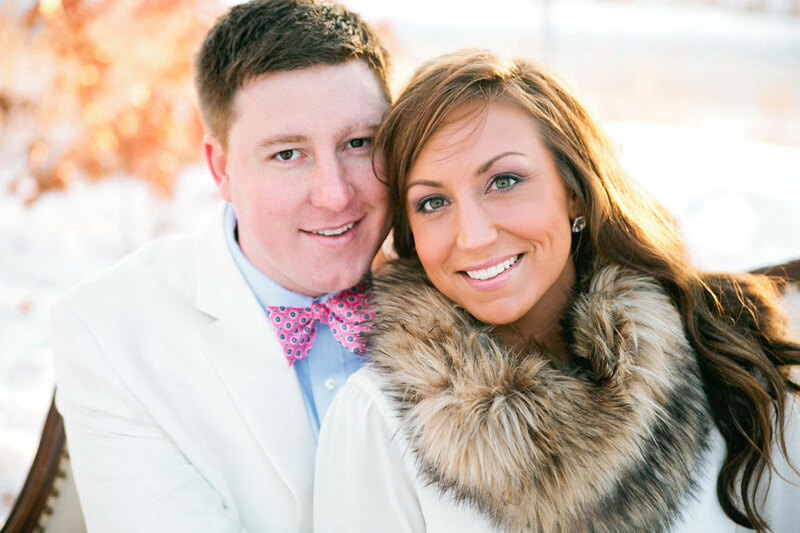 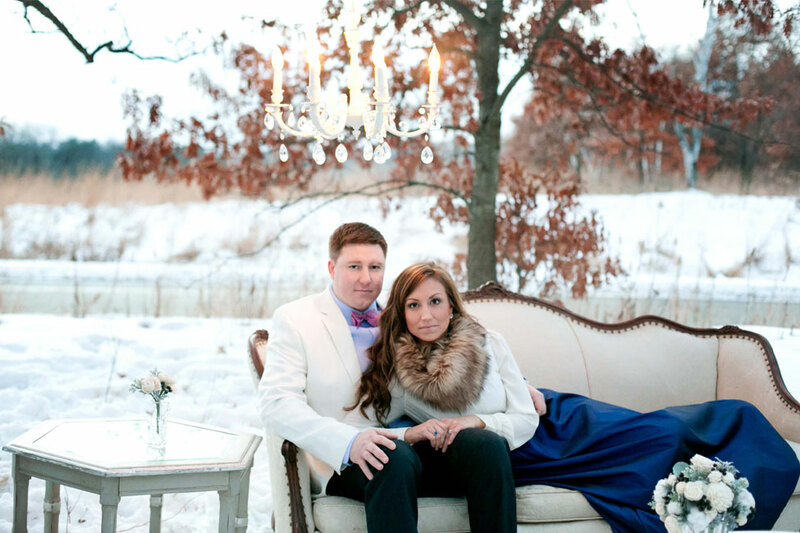 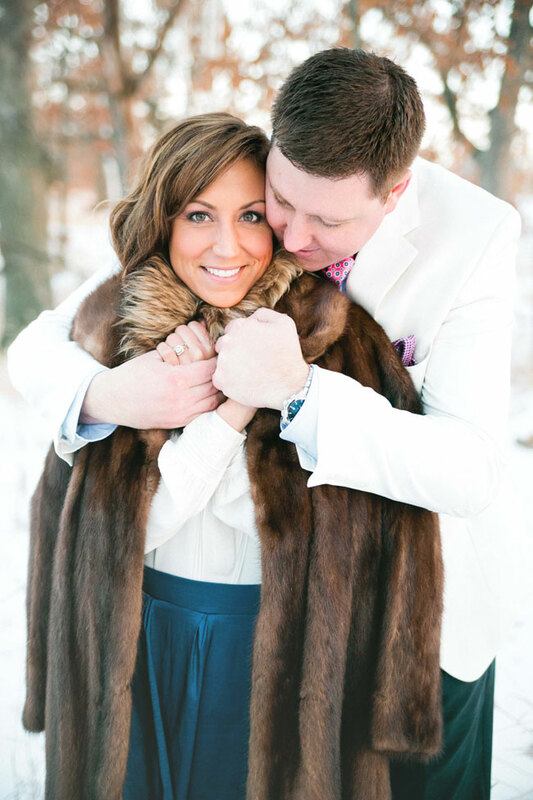 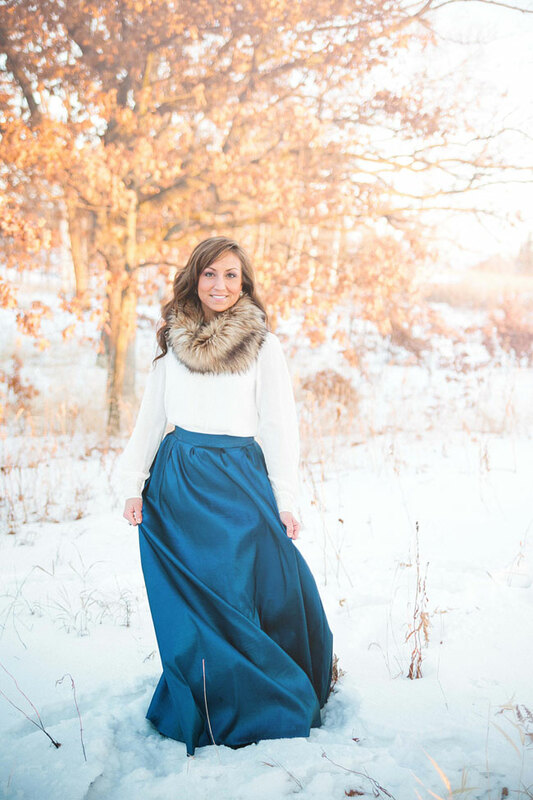 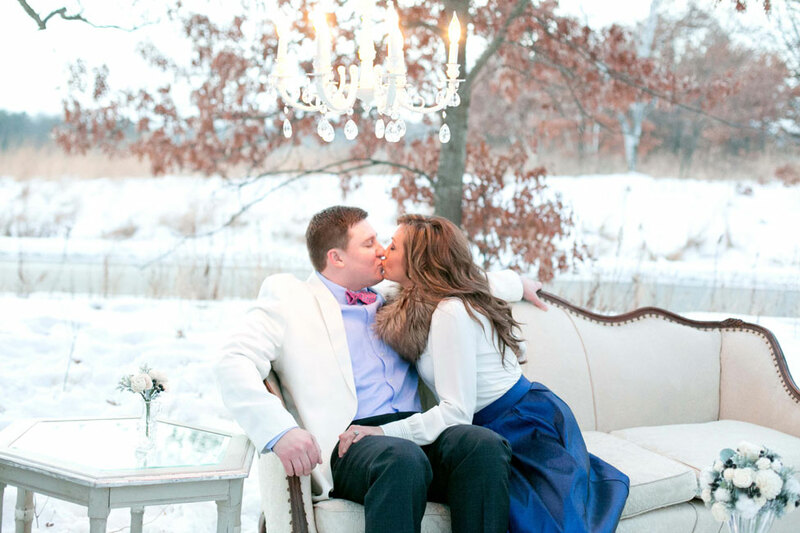 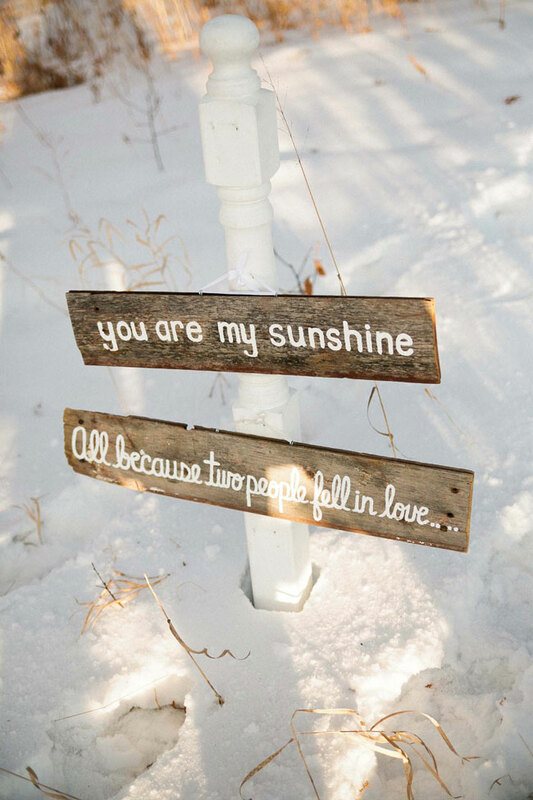 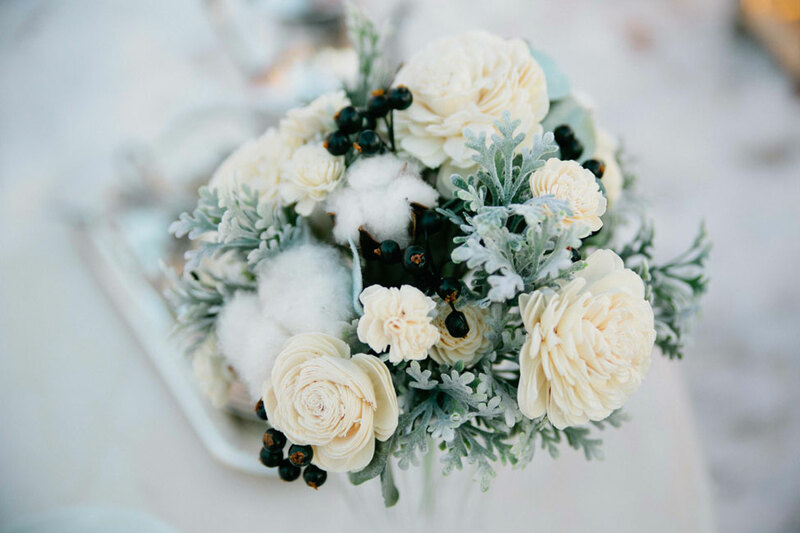 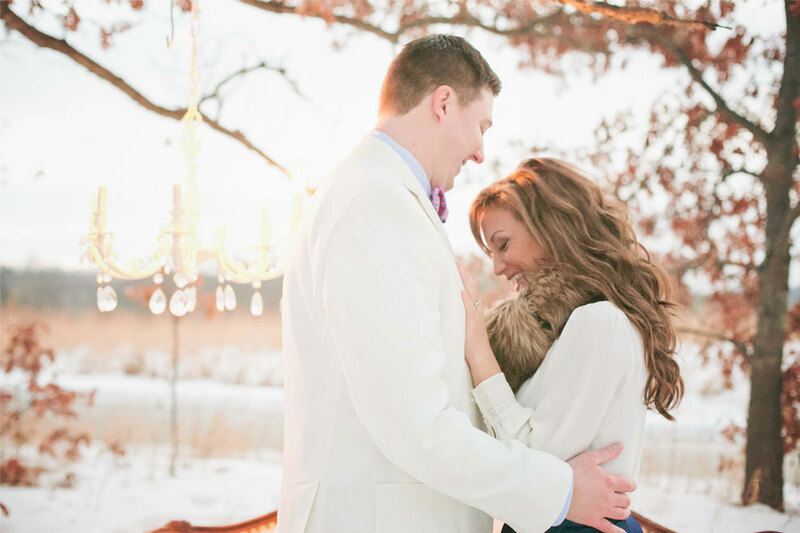 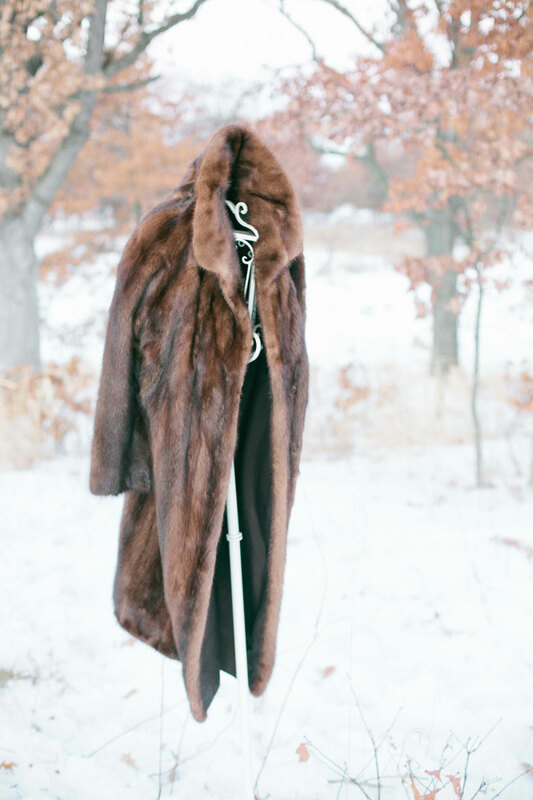 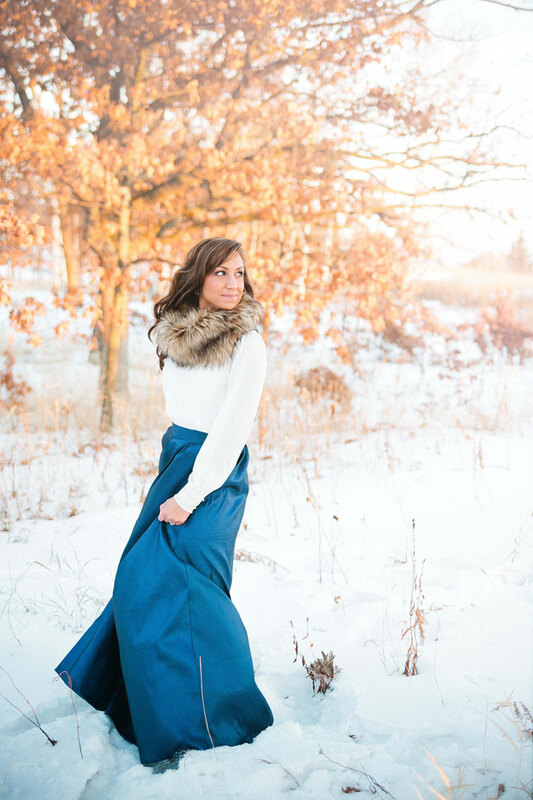 Teaming up with Minnesota wedding photographer Nicole Spangler Photography, they crafted the most dreamy of outdoor engagement sessions among one of Minnesota’s many snow covered fields! 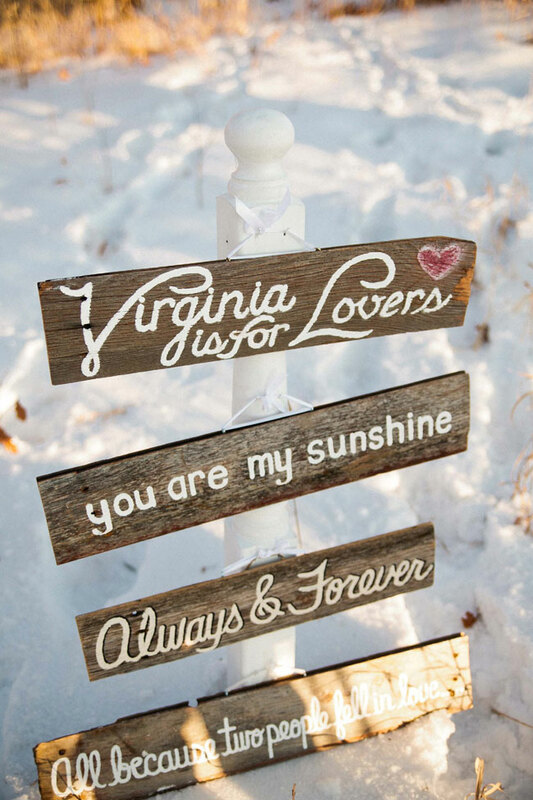 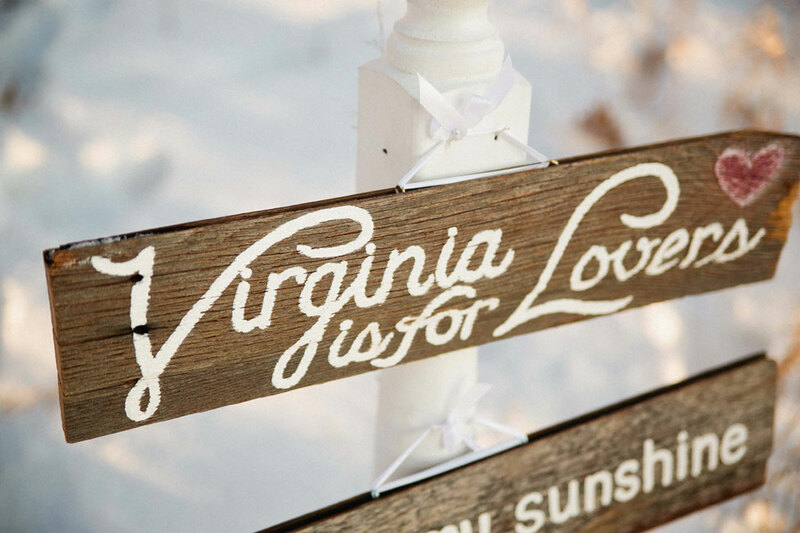 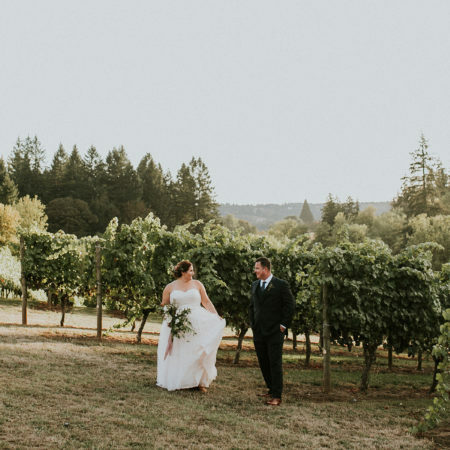 Lucky for us, Nicole gathered some pretty amazing local vendors who jumped at the opportunity to fashion a chic outdoor parlor set which featured beautiful vintage furniture pieces, a romantic chandelier, barn wood signs, even a beyond amazing hand made wooden floral arrangement which I am utterly dying over! 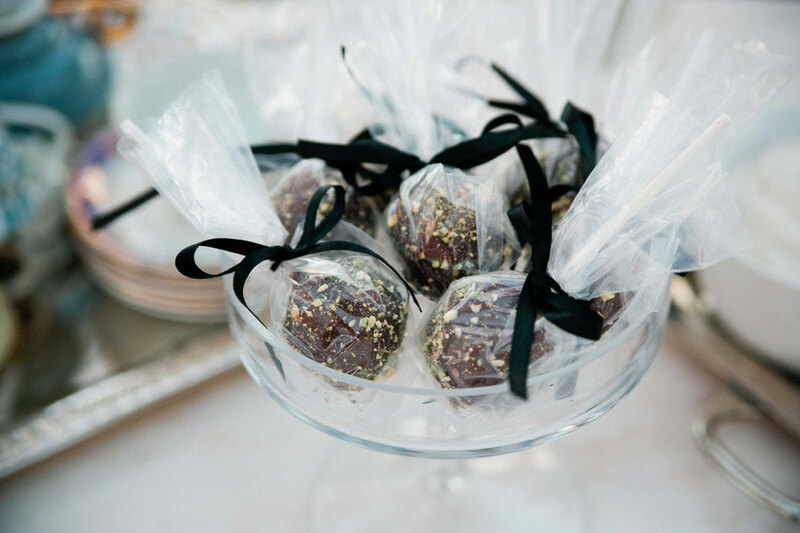 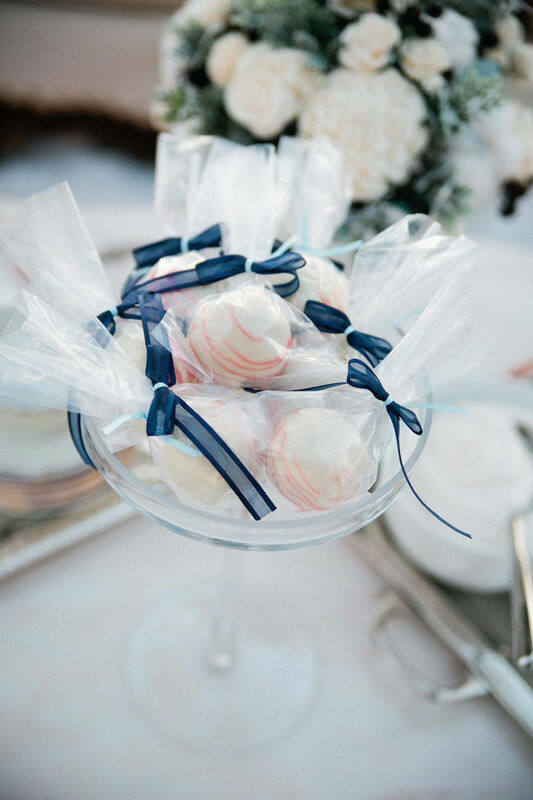 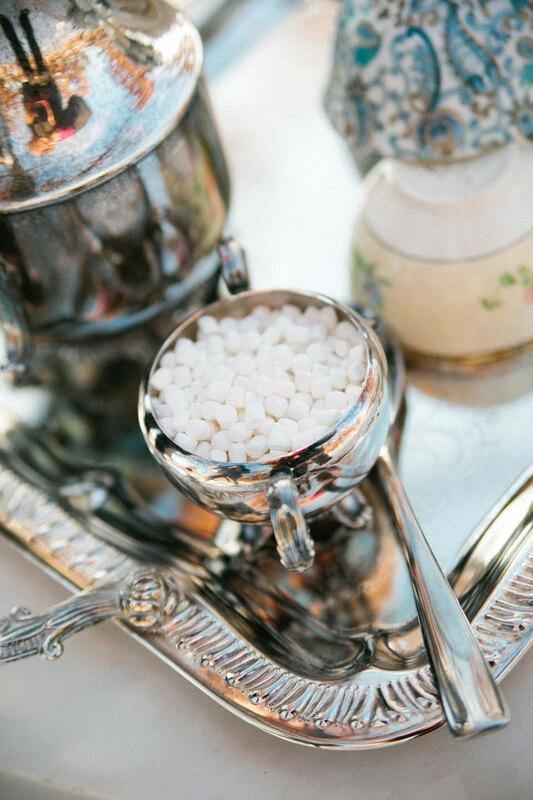 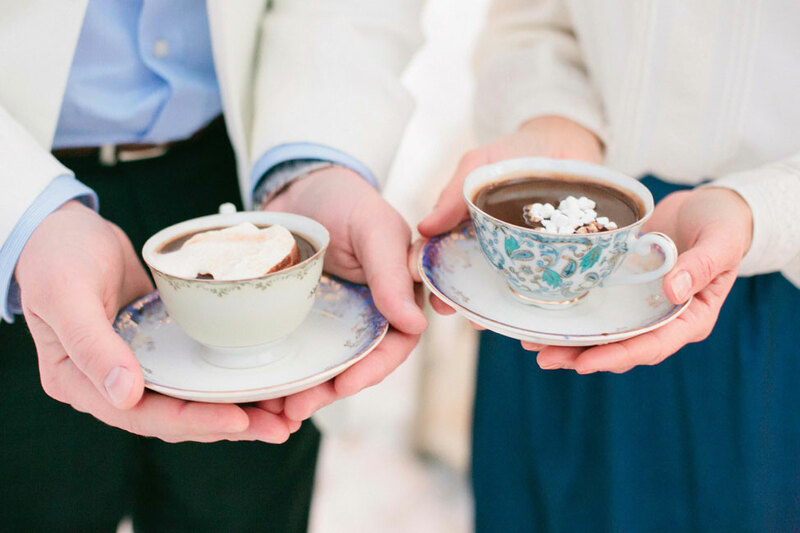 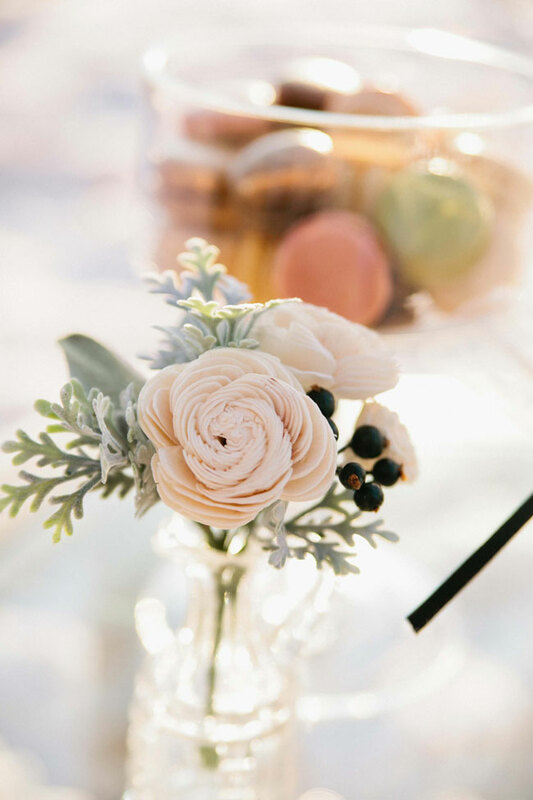 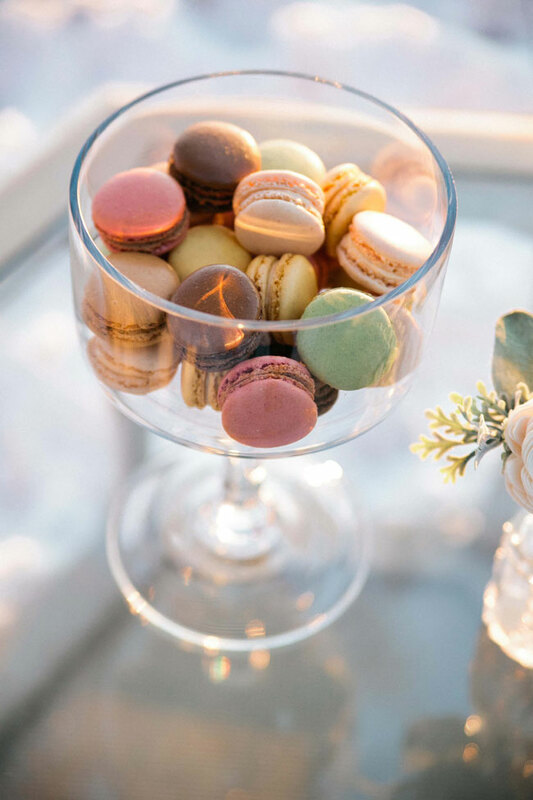 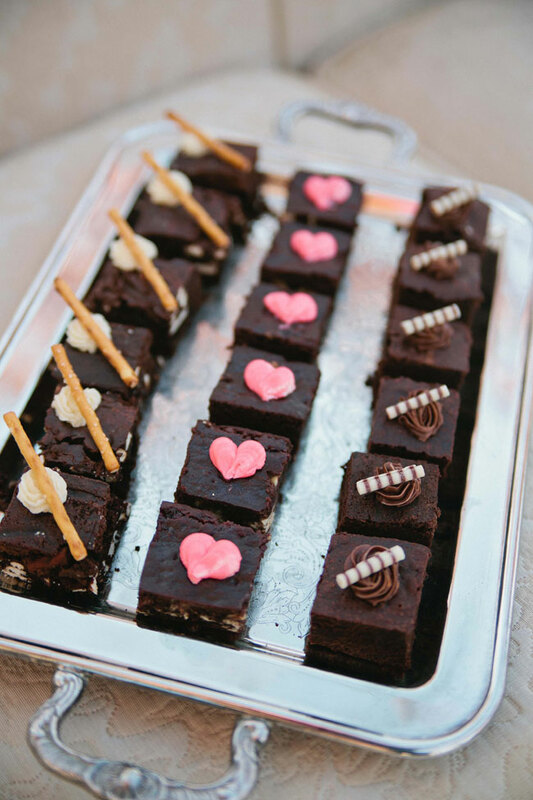 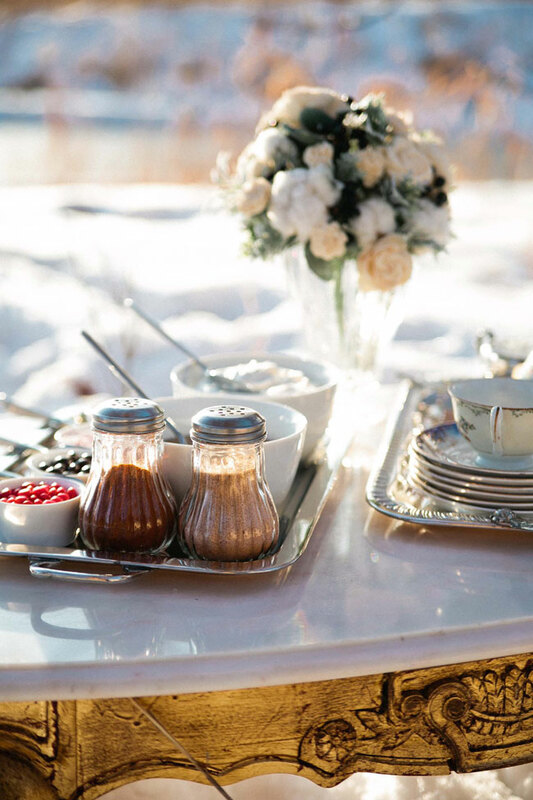 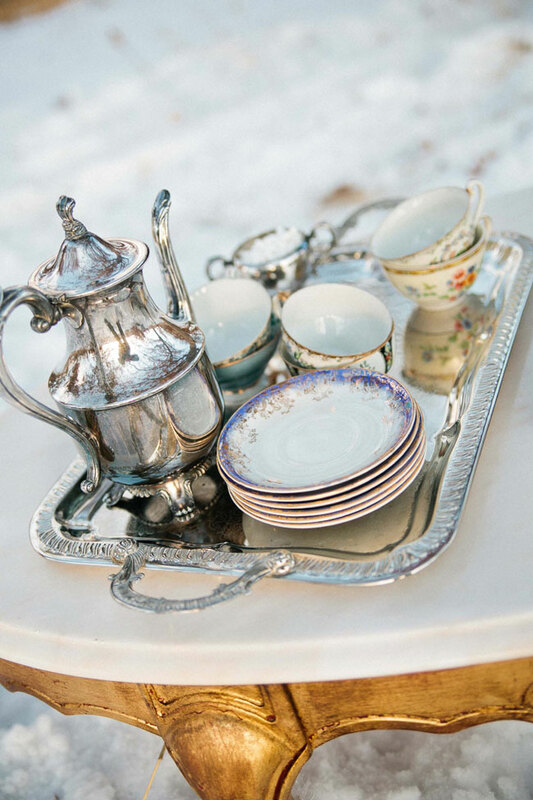 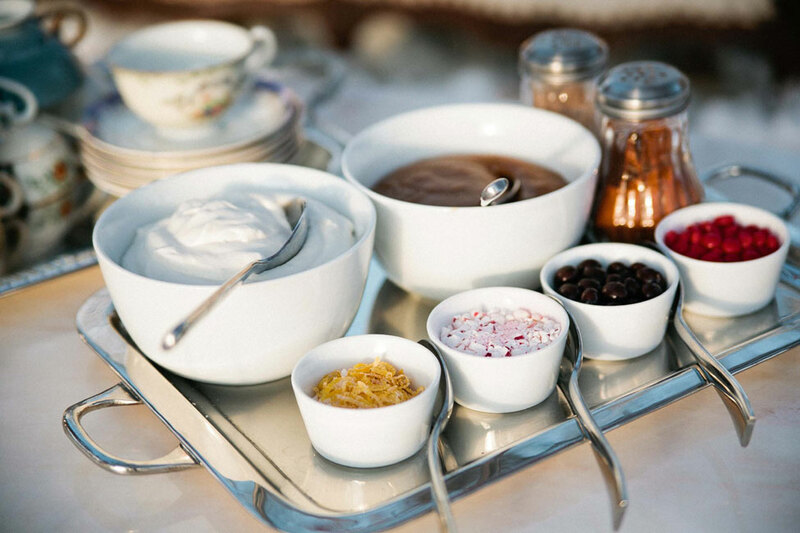 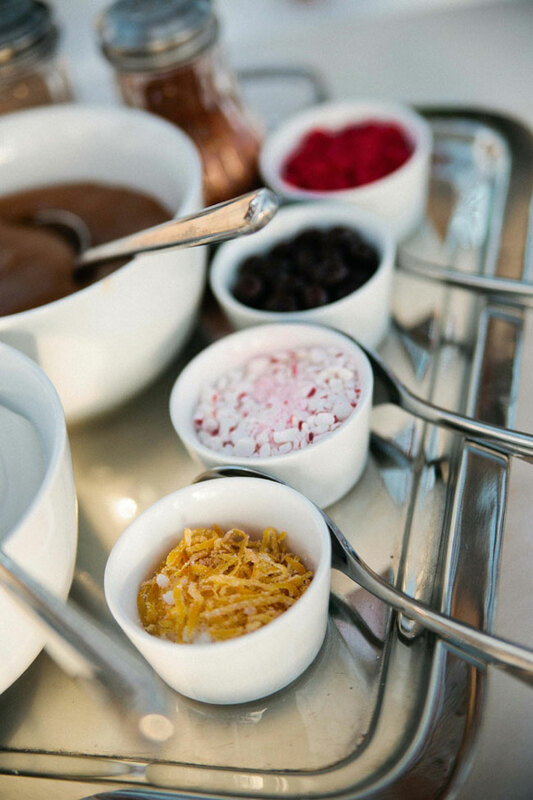 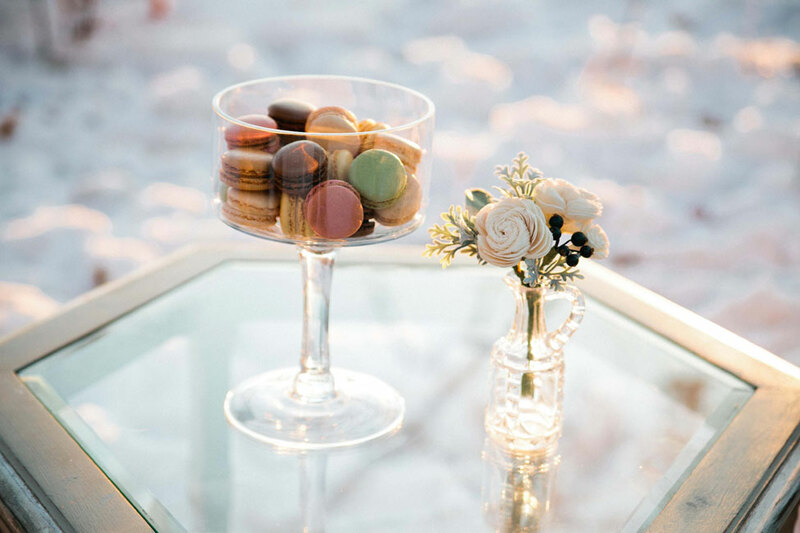 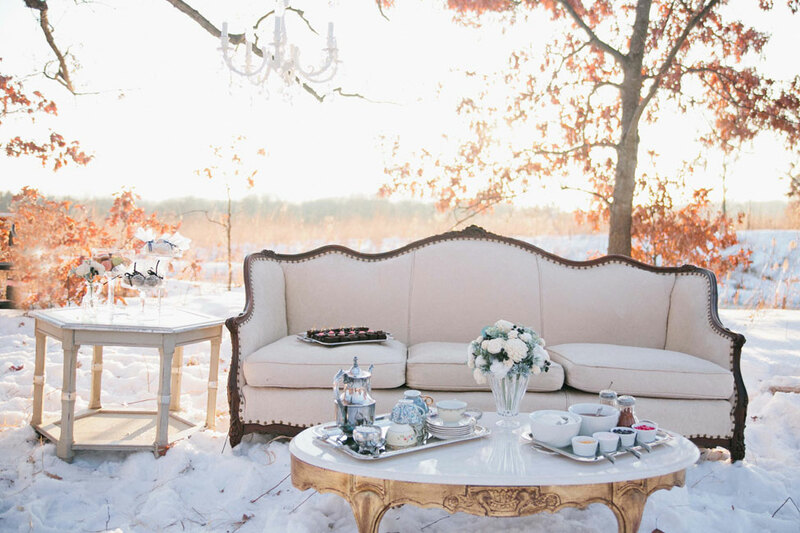 Thinking of something fun to infuse into the shoot, a unique hot coca station was created including flavors like Mexican hot cocoa, caramel hot cocoa, a peppermint hot cocoa, as well as an orange zest hot cocoa! 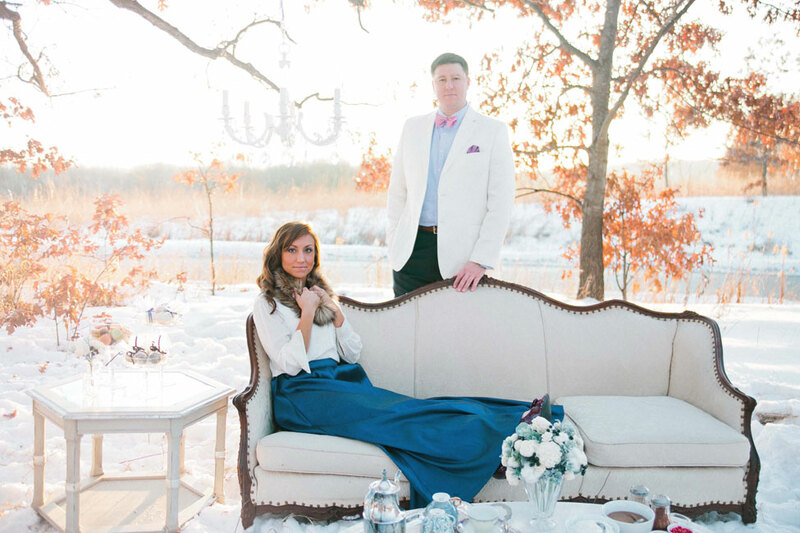 The final piece to the puzzle was the fashion and I must admit I am crushing on both their looks! 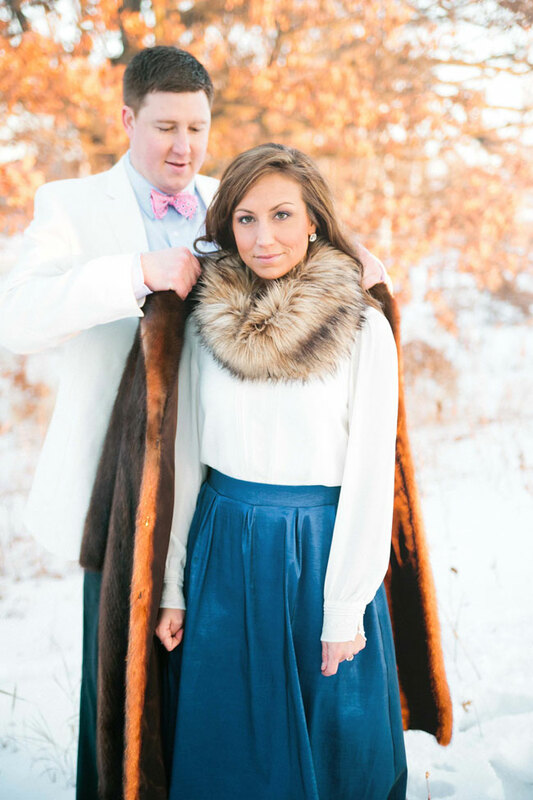 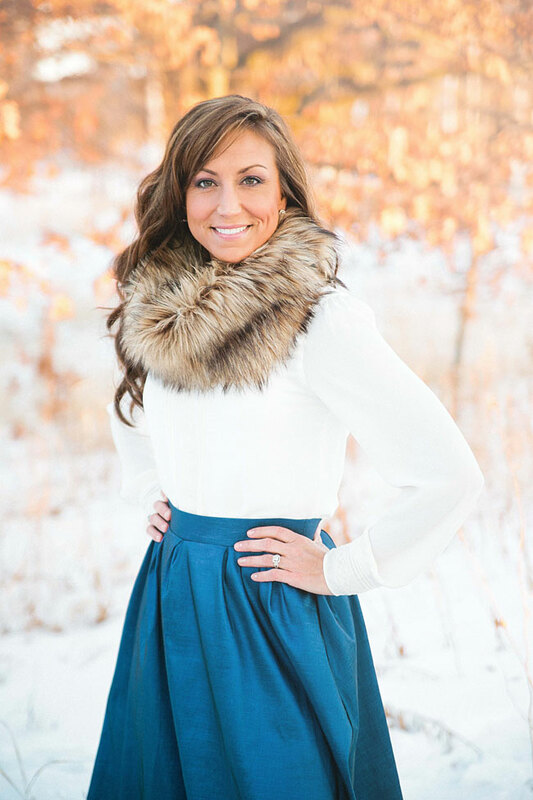 Jennifer looks incredible in a simple white blouse which was cleverly paired with an electric blue hued long skirt and completed the look with a divine fur warmer. 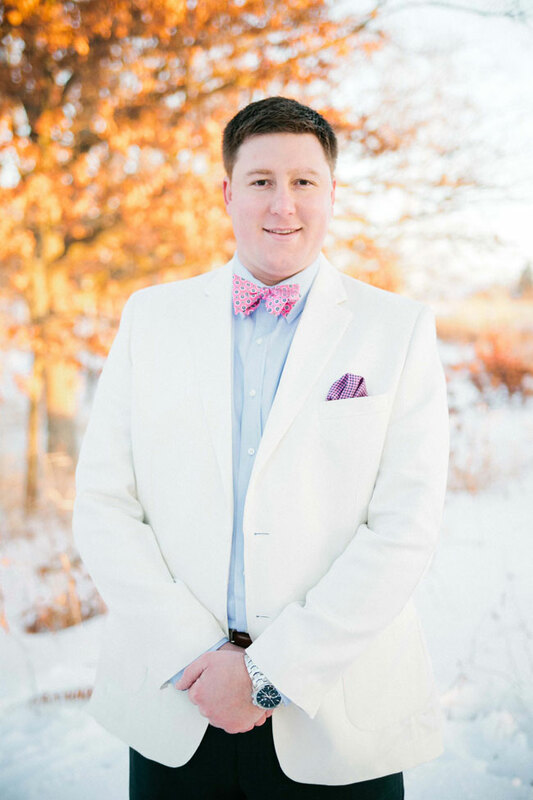 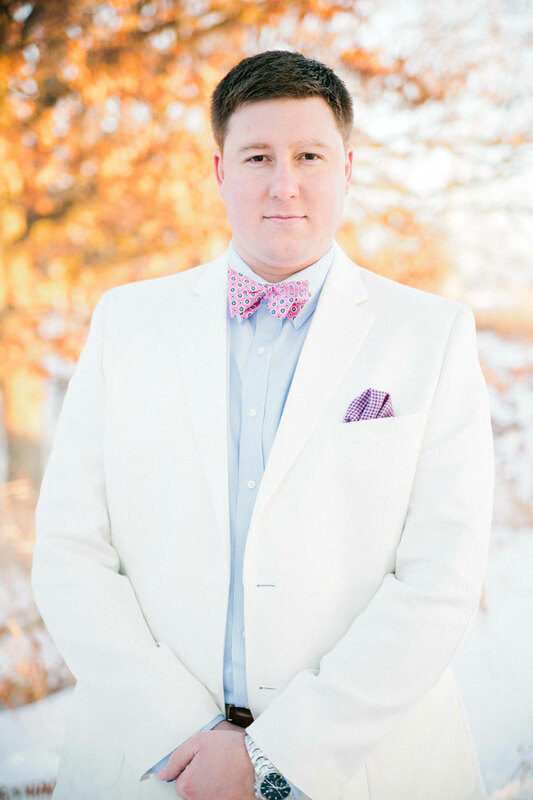 David’s look channels southern gentleman style in a wonderfully fresh white dress coat paired with what else but a bow tie & cheeky socks that hearken a throw back vintage baseball feel! 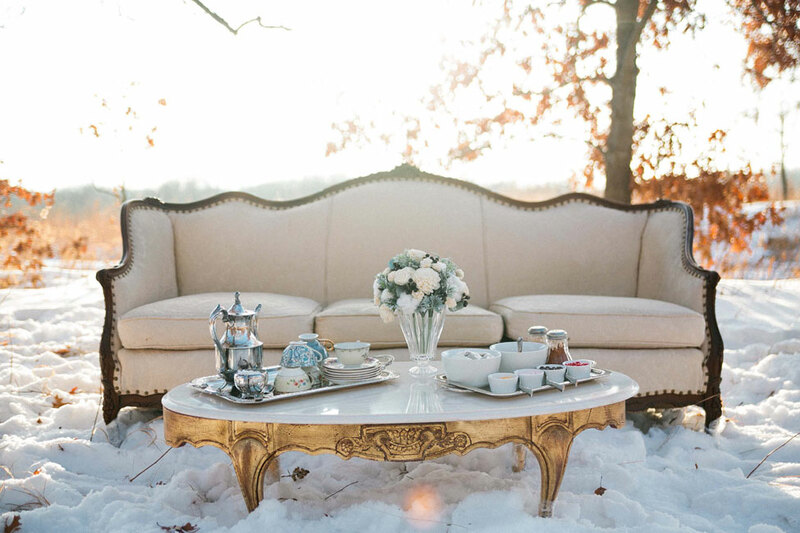 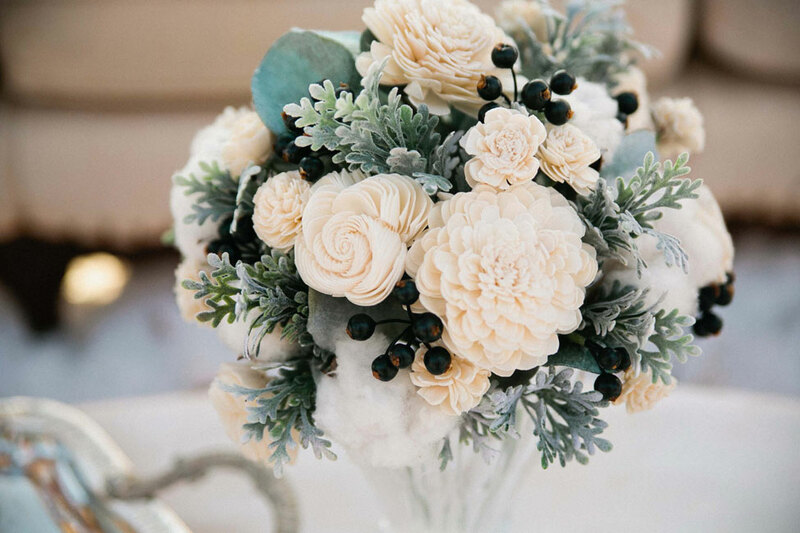 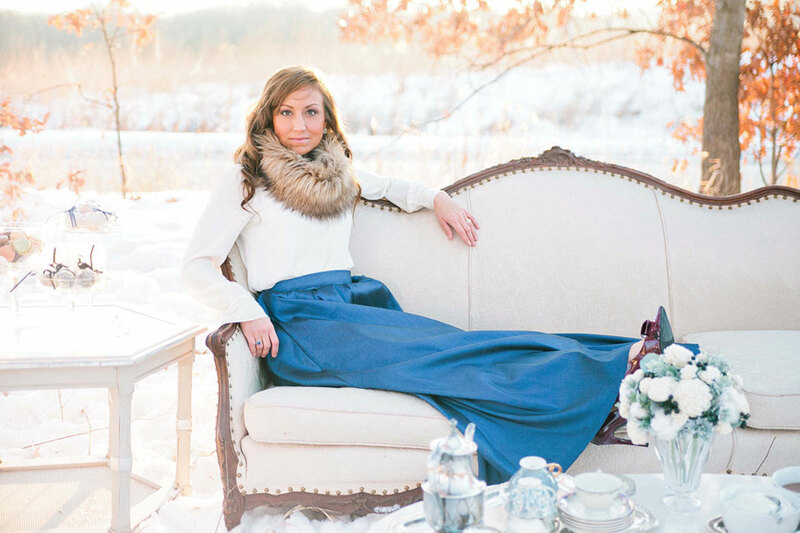 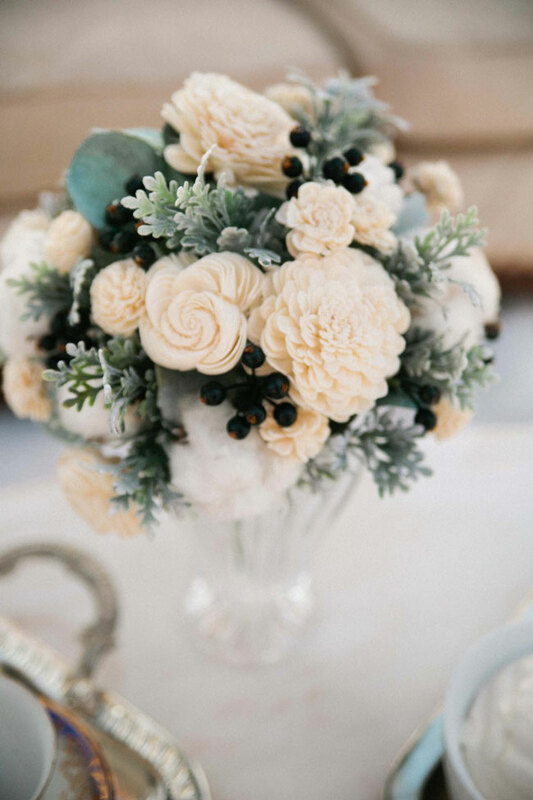 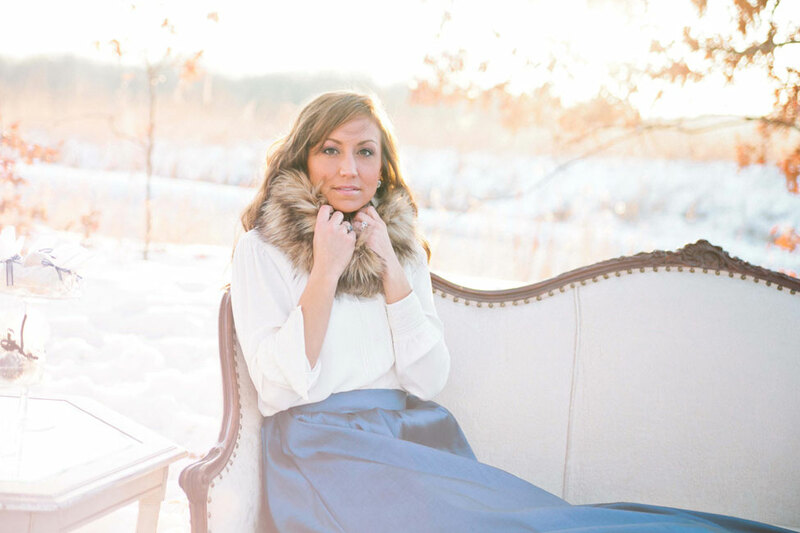 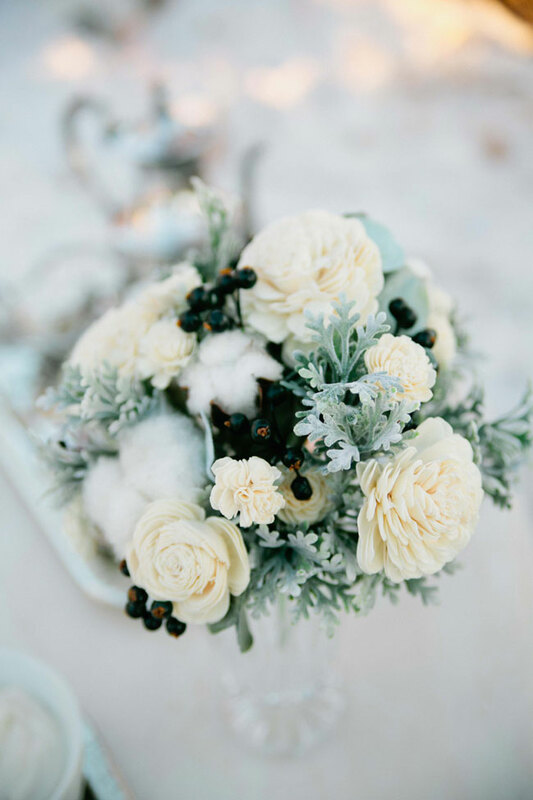 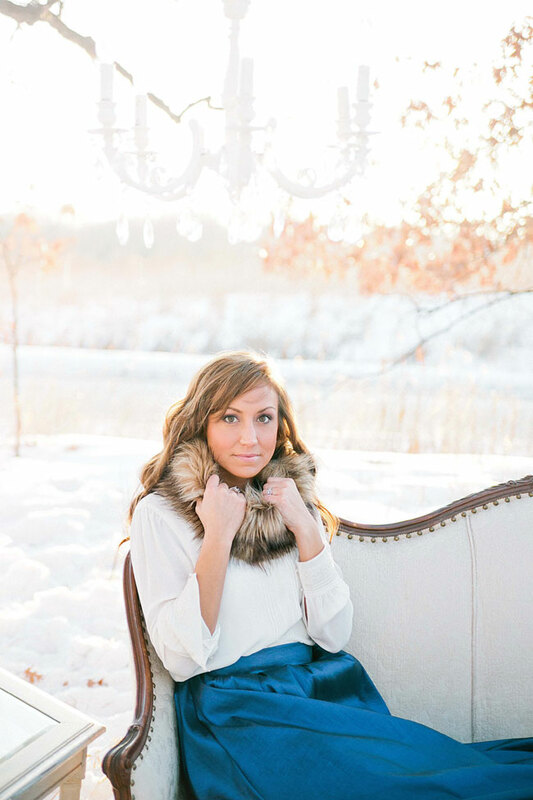 Its easy to see why I am in love with this session as I am from the decor elements, to the set up as a whole to the refreshing fashion, if winter has to stick around a little bit longer, it might as well look like this!